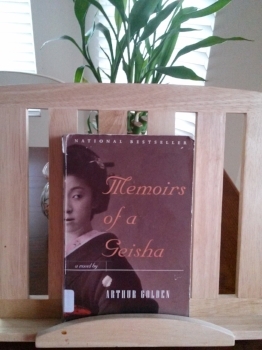 Arthur Golden defied the “write what you know” dictum when he wrote about a geisha. While the three authors didn’t share a common background with their protagonists, it doesn’t mean they didn’t know what they were writing about. In fact, they understood their characters well. Golden has a master’s degree in Japanese history from Columbia University, while Ishiguro researched a lot of books by and about British servants. Proulx, who once lived in Wyoming, was certainly familiar with the setting of her short story. She has said that “Brokeback Mountain” is about homophobia, not a gay love story. Perhaps a Japanese woman would find it easier to write about a geisha, or a gay man might offer a different insight into the story of a gay couple, but there are many ways to get to a story. Golden, Ishiguro, and Proulx simply took a different route toward their stories. I, too, defied the “write what you know” dictum. My debut romance book, In His Corner, (published under my pen name Vina Arno) is about an Olympic gold-medalist boxer, though I’m neither a sports fan nor a boxing enthusiast. I’m a journalist by training. When I worked for the Associated Press, I covered breaking stories, which meant I was unfamiliar with my subject matter about 90 percent of the time. Whether it’s a murder case or a prison riot or a chemical-factory explosion, I would go out to cover the story with little or zero background information. It was my job to find and write the story under strict deadlines. For me, writing about a boxer is like covering a news story. In fact, when I decided to make my romantic hero a boxer, I had a head start. For years I’ve been following the career of my compatriot, Manny Pacquiao, considered one of the world’s best boxers today. Pacquiao, winner of eight different weight divisions, is perhaps the biggest thing to ever come out of the Philippines. Although I’m not a boxing fan, I find his story fascinating. Growing up in Manila, I was in awe of Muhammad Ali, who fought Joe Frazier in the Philippines. Their famous bout, called “Thrilla in Manila,” left a tremendous impression on me as a child. Come to think of it, “write what you know” instructs us to know our subject matter. How we arrive at the required knowledge is up to us. I don’t have to be a boxer or even a boxing fan to know how fighters train or what they eat. I did my homework by watching documentaries and reading books, magazine articles, interviews, and yes, following Pacquiao’s success story. “In His Corner,” published by Lyrical Press under my pen name Vina Arno, will be released on April 14. You can read more about it here.